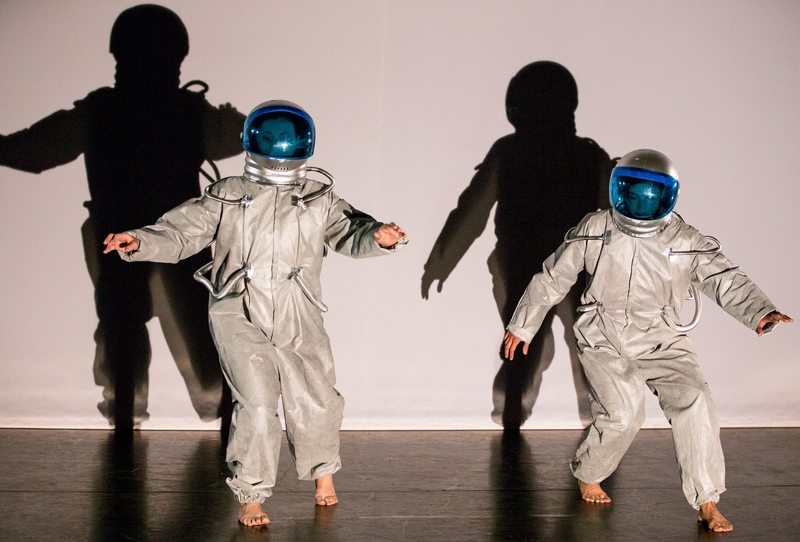 Inner Galactic, the highly-anticipated, interdisciplinary collaboration between Seattle artists Maya Soto and Nico Tower, is set to launch this coming weekend, November 13-15, at Velocity Dance Center. An immersive adventure wrought with wonder, Inner Galactic will commence an odyssey into the cerebral supernova with a dash of humor to boot. The project began with a two-day residency at an Artistic Retreat at Bend Oregon’s Higher Ground Community. Soto, a dancer/choreographer, and Tower, a musician/designer, entered the residency with just a few things: a general concept, one of Tower’s unreleased albums, and a unifying sense of “shared geekery.” Their initial thought was to make a show based on the science of outer space, celestial bodies, vibrations, infinity, the unknown, galaxies within, and the poetry of the heart. They began by making movement rooted in these themes. In the following weeks and months, the two artists, after returning to Seattle, continued reading, writing, researching, improvising, and playing “games,” all the while pulling source material from their work in Bend. They received a creative residency through Velocity Dance Center in partnership with 10degrees, which awarded them free space and the convenience of extended rehearsal time. Throughout their process they also sought out creative feedback from movie-makers, choreographers, authors, and dancers. Don’t be deceived by the tenderness of the concept, though. 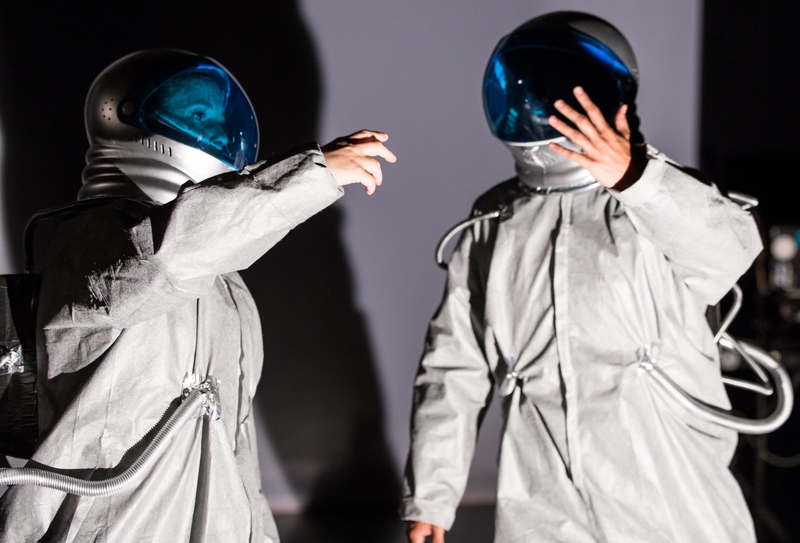 Inner Galactic will not be just a sentimental abstraction in movement, but rather an interactive experience complete with space suits, reflectoriums, wishing chambers, and a talking space ship known as the S.S. Veruka. Audience members will be invited to embark on their own journeys alongside the performers. Structurally, the work is based on comic book principles. Separated into five episodes, the two-hour production uses the stark simplicity of this format to establish action, character pathos, and clarity in the same way that the digestible installments of a comic book would. But Inner Galactic goes beyond mere surface-level conflicts of protagonist and adversary. It tells a comprehensive story with depth and tact to create a complex relationship between the audience and the story itself. For Tower, the process has also felt foreign, but mostly from a movement standpoint. Although Tower has always been allured by the stage and spends much of her time in front of audiences as a musician, she has no formal dance performance history to speak of. Since she will be performing movement alongside Soto, this piece marks a huge step in her artistic career. Tower’s background in athletics, multimedia design, and sound composition, however, have played a significant role in the development of Inner Galactic, where sound and installation are vital elements. Filled with a milky way of ideas and inspirations, Inner Galactic is poised to make a graceful landing between imagination and reality. The performance runs November 13–15, at Velocity Dance Center. Tickets are available for purchase here. More information on the artists can be found on their respective websites. More about Maya Soto here, and Nico Tower, here.